Tired of using passwords every time you need to get into your Mac? Short of just removing password protection, you really don’t have many options to make getting into your computer more convenient. This is because Apple doesn’t include a fingerprint scanner on any of their Macs. But if you own an Android device then there’s an app for that. 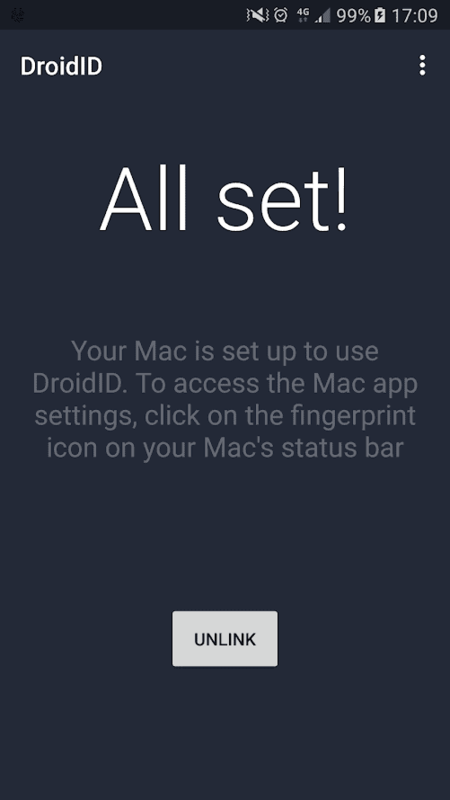 It’s called DroidID, and it’ll allow you to get into your Mac computer using the fingerprint scanner on your Android phone. 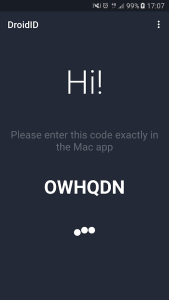 DroidID uses a third-party server to send an unlock command from your phone to your Mac device, whether that’s an iMac, Macbook, Macbook Pro, or Macbook Air. 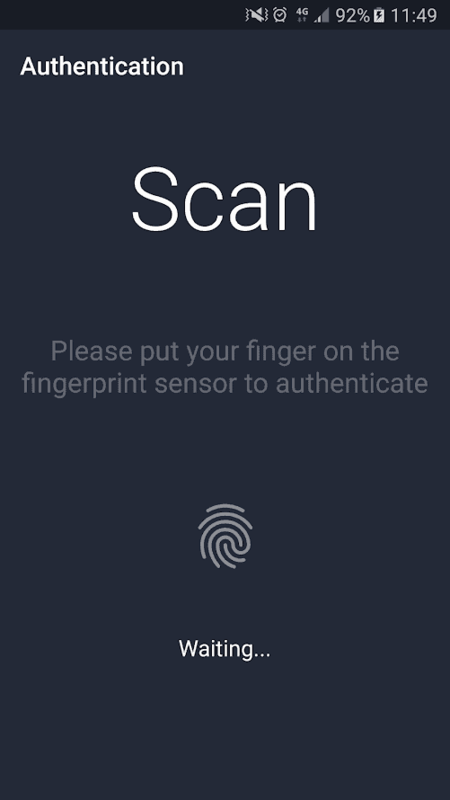 The unlock is initiated when you open the app and scan the fingerprint you registered into your Android phone. There are some limitations, but DroidID can unlock your Mac as long as it’s in one of three states, including from sleep, when the screensaver is running, and when you resume from sleep by moving the mouse or pressing a key on your keyboard. Due to security limitations, however, you won’t be able to do it upon first boot-up (Apple likes traditional passwords in that case) nor when you manually lock your Mac. 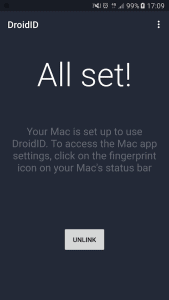 Speaking of security, DroidID makes use of Android’s built-in fingerprint API and Mac’s Keychain infrastructure to ensure security. What this means is that neither device has to know anything about the other. Your fingerprints stay encrypted on your phone, and your Mac’s password stays encrypted within Keychain. Think of DroidID as a blindfolded middleman, then – it can pass the necessary information between your two devices to make it work without it having to know what, exactly, it’s passing. We should also point out your minimum requirements. 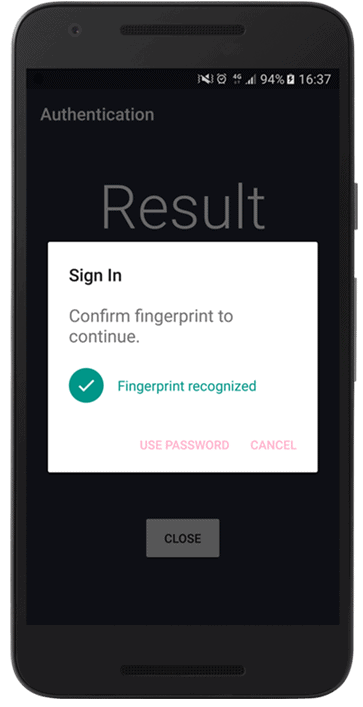 While you can mostly use any Android phone with a fingerprint sensor on it, it will need to be running Android 6.0 Marshmallow or higher. The only exception to this rule is for Samsung users as they can be on Android 5.0 Lollipop. Likewise, almost any Mac will work with this app, but it needs to be running OSX 10.12 El Capitan or higher. Installing the app is a two-part affair: you’ll first need the Android app, and then you’ll need the server app for your Mac. The Android app is pretty simple to get: head to Google Play and download it, as usual. As for the Mac app, you’ll need to head to the developer’s website to download that. Once you have the app file, just move it into the applications folder on your Mac to install it. Open the DroidID app on your Android device. You’ll be presented with a six-digit code. Write it down if you need to. 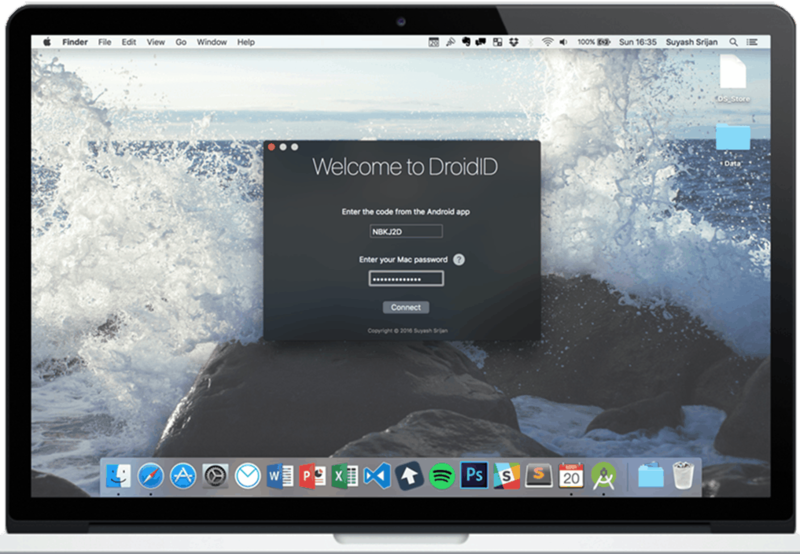 Launch the DroidID server app on your Mac. When prompted, enter the six-digit code you received. You’re mostly done. One last optional step we’d recommend is setting the Mac client to start every time you boot your system up. Head to System Preferences > Users and Groups > Login Items and add the DroidID app. This won’t waive the need to use your password upon first bootup or when you manually lock the Mac, but it’ll keep you from having to launch the app each time you turn it on. 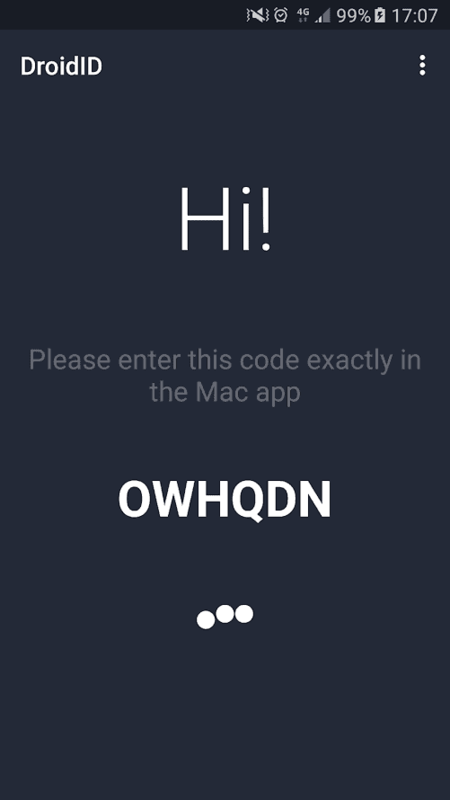 With that, the next time you want to get into your Mac without typing in your password, all you’ll need to do is open the DroidID app on your phone and scan your fingerprint. 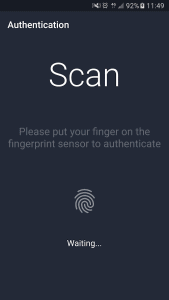 Further Reading: Is fingerprint lock really safe? This can be convenient if you’re just getting home and you want to make sure your Mac is unlocked and ready to go before you actually get to your desk, or if you’re just feeling a bit lazy that day. Use it how you want and enjoy the added convenience!